Business Card Designer in Camas, Washington - Graticle, Inc.
We’re a print design business serving Camas, Washington. We designed and printed these business cards for Nex Generation Development & Acquisitions located in Camas, Washington. We had recently finished creating Nex Generation's new logo and brand when they asked us to update their existing business cards. After a few revisions, we arrived at the design you see on this page. 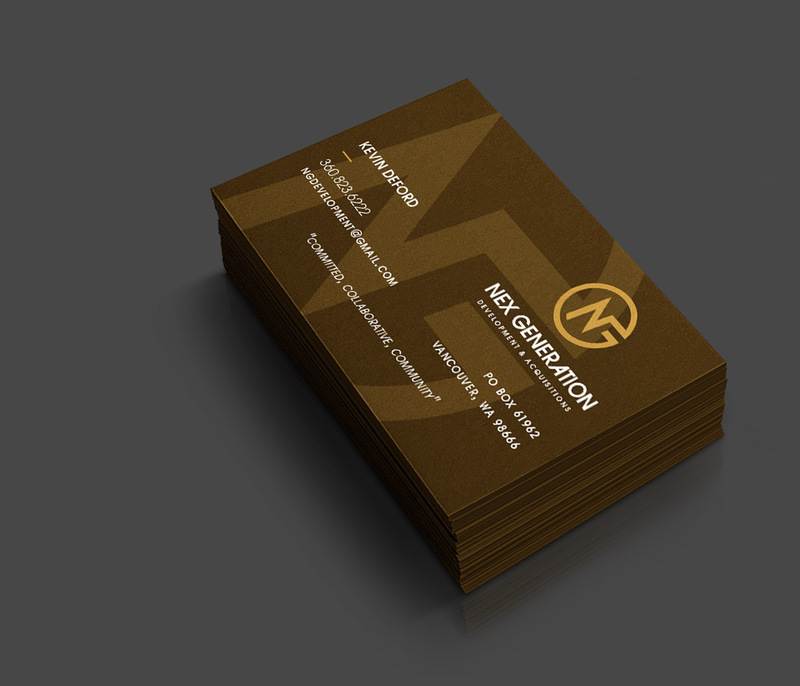 We not only designed these business cards, but we also printed and shipped them to Nex Generation's doorstep. Want a Quote on Your Project?